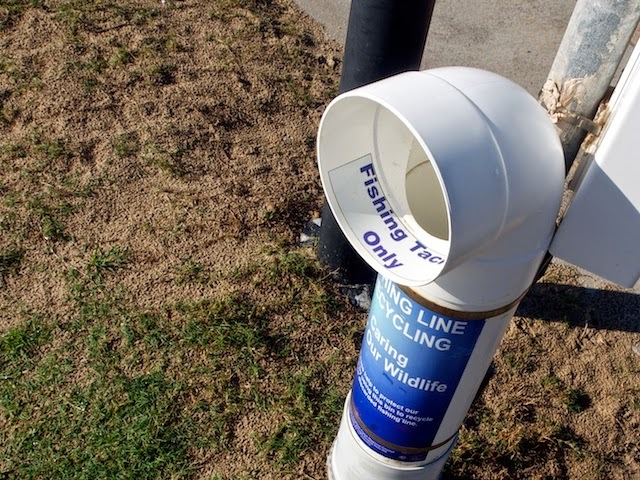 Fishing line does enormous damage to the well being of wild life, so it's a nice touch having a spot to recycle damaged line. It's the only one I've seen though, I wonder who takes care of it? I should have read the fine print.